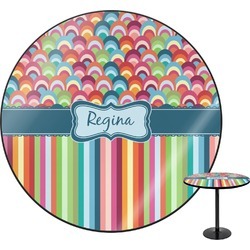 Modern meets retro meets stripes meets fish scales! 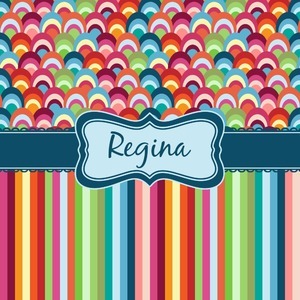 This modern vertical stripe and fish scale design has a wonderful multicolored retro look to it. The decorating choices are endless with all these gorgeous colors and patterns. 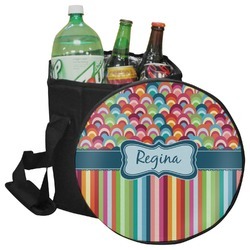 Personalize the design by adding your name to the center ribbon!